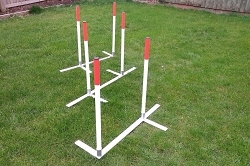 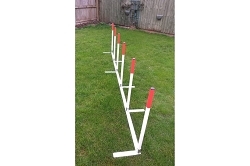 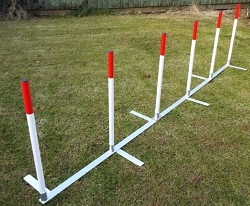 Our stick in the ground dog agility weave poles are great for using in the garden, at the park or in competitions. 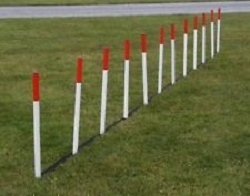 All of our weave poles are made from high quality durable ABS plastic, with stainless steel spikes which are long lasting and will not rust that keep your weaves securely in the ground. 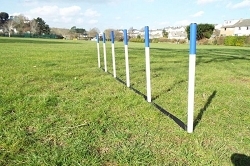 Our dog agility weaves are topped with UV resistant coloured vinyl for years of outdoor use. 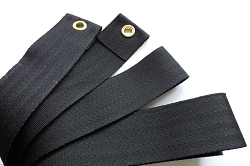 The weaves come complete with webbing that conforms to KC regulations and end caps for a professional finish. 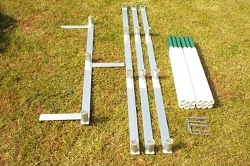 If you would like to order jumps or weaves in bulk, please call us on 07888 837 220 to discuss your requirements.